At Swann Dermatology, we are proud to be the first to offer coolsculpting to Southwest Missouri. We are now proud to be the only providers in the area who offer Cool-Mini, the CoolSculpting procedure for the fat under the chin known as submental fullness. The CoolSculpting fat freezing procedure is FDA-cleared and contours the body by safely and effectively freezing away unwanted fat for good without surgery or downtime. SIT BACK, RELAX, AND SAY GOODBYE TO STUBBORN FAT. After you and your physician select the area(s) to be treated, the device is positioned on your body and controlled cooling is applied. During your procedure, feel free to read, check email, or even take a nap. In the weeks and months to follow, your body naturally processes and eliminates the treated fat cells. Once the fat cells are gone, they’re gone for good. Renowned Harvard University scientists, Dieter Manstein, MD and R. Rox Anderson, MD, observed that some children got dimples due to eating popsicles. The idea that cold can selectively affect and eliminate fat cells without damaging the skin or surrounding tissue was the insight behind Cryolipolysis®, the proven science on which the CoolSculpting procedure is based. Would you like to hear from some people who have had coolsculpting to see if it is the right choice for you? 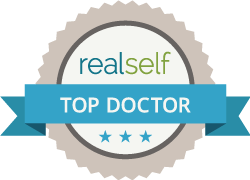 At Swann Dermatology, we recommend Realself.com/coolsculpting and can also give you a list of testimonials from our own practice. Body shape is a personal issue, but after people achieve success in changing their exercise-resistant areas of fat, they are excited to tell others about the procedure. The CoolSculpting fat reduction procedure is specially designed for those who have unwanted fat that resists diet and exercise. Unlike gastric bypass surgery, the CoolSculpting procedure is not a weight loss solution for people who are obese. It is, however, a non-surgical alternative to liposuction. Set up a one-on-one consultation with Dr. Swann or our cosmetic staff to determine if the CoolSculpting procedure is right for you and get started on your CoolSculpting journey. Call us today at 417-888-0858 or email drswann@swanndermatology.com.